Alpacas place minimal stress on the land when compared to most other large farm animal due to the soft pads on their feet. Stocking rates of 5-6 alpacas per acre are usual, but allow for rotation in order to provide land management. Alpacas are herd animals and do not fair well when kept alone. Males may be kept in pairs but females require to be kept in groups of 3 or more. If keeping breeding females, the cria (baby) will need to be weaned from its mother at around 6 months of age. Ideally this should be in an area out of sight of each other to reduce stress levels for both mother and cria. If numbers allow the cria should be placed with other cria. Watching weanlings play together is enchanting for us and also seems to provide distraction for them. Some owners do not separate the cria from the mother and rely on the mother to stop the cria feeding when she is ready. The danger here is that if the mother is due to give birth that the ‘weanling’ will take the first milk (colostrum) away from the new born cria. However, I have not heard of any actual problems from breeders using this method. We usually separate ours for at least 8 weeks, but ideally longer as some dams will allow youngsters to start suckling again. We have found that alpacas rarely challenge fencing and are usually content just to graze with the herd. However, stud males are more likely to risk escape when females are nearby. We use fencing; both post and rail, and sheep netting, with either a wire or wooden rail on top. We keep the height at a minimum of 4 feet. Barbed wire should not be used. We have also found that splitting large areas into smaller paddocks allows for easier handling and field maintenance. 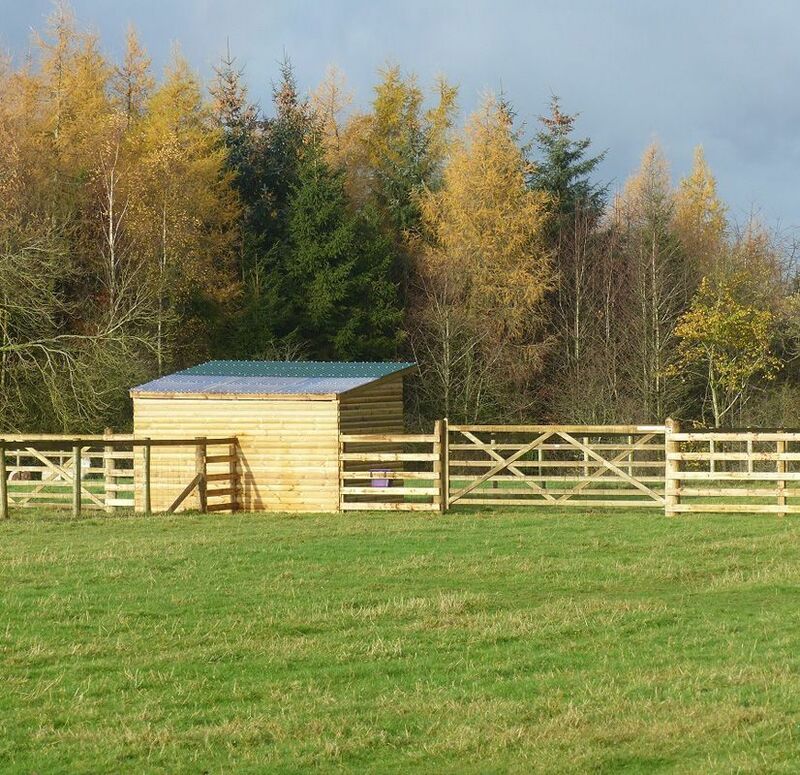 Handling areas are particularly useful for husbandry tasks and can be easily erected with the aid of alpaca hurdles or as a permanent fixture using post and rails. A field shelter should be provided to give protection from the extremes of the weather. It is equally important to provide shelter from the sun as well as the cold and the wet. Paddocks should be kept as clean as possible and we recommend regular ‘poo picking’ (we do each paddock 3 times each week, but this will depend on stocking rates).